Steven Renata responds to the challenge of pronouncing places, plants and animals. Hauraki Gulf Marine Park Seminar speaker Chris Gaskin’s light hearted suggestion that New Zealand should replace the kiwi with a seabird as its native symbol has taken off. 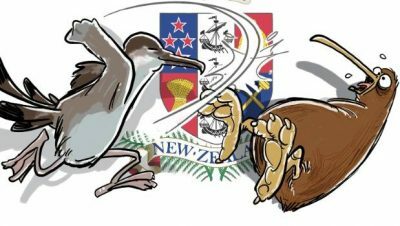 Is it time to replace the kiwi with another iconic bird? The Otago Daily Times followed up by ‘interviewing’ a royal albatross, yellow-eyed penguin, and an ‘Otago shag’ on their views. 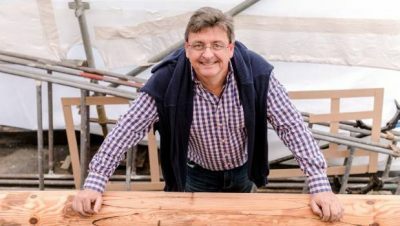 The story of the boats that supplied Auckland with kauri and fresh produce from the outer Hauraki Gulf islands will be told through an interactive multi-discipline exhibition at the Auckland Maritime Museum. 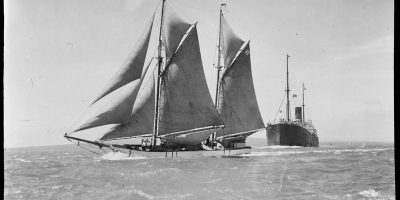 The scow Ida, and the cutter Te Rangatira, were owned by Tenetahi Pohuehue and Rahui Te Kiri of Pakiri (Ngāti Manuhiri and Ngātiwai) and sailed by their children. These highly skilled sailors were often competitive and victorious in the Auckland Regatta. Organiser Olivia Haddon says the focus of the programme is to “tell our tupuna stories to our mokopuna rangatahi as they are our future heroes” through workshops on traditional rope making, navigation and dancing to heritage. The future of farming and fishing were the subject of insightful discussion at the recent Environmental Defence Society Conference on Tipping Points. New technologies such as ‘cellular agriculture’ are set to challenge old fashioned farming attitudes and increase the rate of uptake of sustainable practices, explained Dr Rosie Bosworth, a Senior Strategic Planner with ‘Rethink X’. Landcorp’s CEO Steve Carden outlined his vision for the future and the practical proactive approach being taken to adapt. 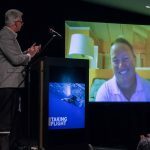 Sanford CEO Volker Kuntsch, Te Ohu Kaimoana CE Dion Tuuta and WWF head of Campaigns Peter Hardstaff addressed fisheries, their ‘big’ words being Transparency, Respect and Humility. On the 15th of July 32 people volunteered their Saturday to pull up weeds on Motukorea (Browns Island). Accompanied by Auckland Council rangers the group made a strong start on removing weeds which had risen from the ashes after a fire devastated much of the island in November 2016. In the short time since the grass was burnt a wide variety of weeds have grown on the crater slopes, including apple of sodom, moth plant, wooly nightshade, mullein, bone seed and rhamnus. More than 6,000 weeds were removed but there is still much more work to do. 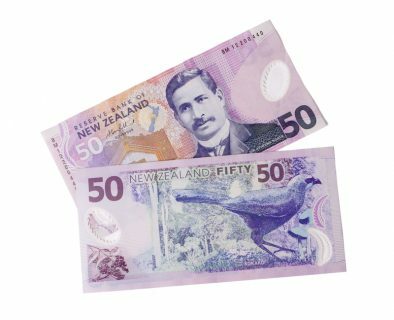 John Laurence, chairman of the neighbouring Motuihe Island Trust, says the island is a stepping stone for weeds to travel further into the Gulf. Volunteers, including Cr Mike Lee, were ferried to the island by members of the Outboard Boating Club. Auckland is one of the weediest cities in the world, with exotic species outnumbering our native plants. However a native bracken has also benefited from the fire and established in the crater. The bracken will provide better habitat for the rare reptiles that inhabit the island including the moko skink. If you would like to volunteer visit motukorea.org. 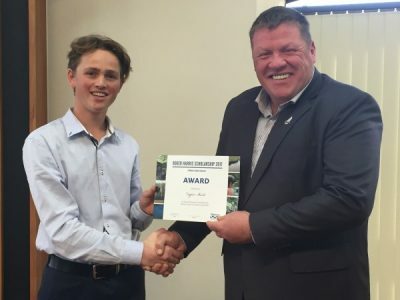 A Waikato Regional Council scholarship has been awarded to Taylor Auld from Thames to assist in completing a Bachelor of Civil Engineering at Canterbury University. Taylor received a number of academic awards at Thames High School and was involved in coastal clean-up initiatives through Scouts. The $6,000 award is made annually through the council’s Waihou Piako catchment committee to support undergraduate study in the fields of engineering or resource management, particularly river and catchment management. Ngāti Rehua is leading a project to eradicate pests from the Te Paparahi block at the north end of Aotea/Great Barrier, with the ultimate objective of seeing the return of kōkakō to the island. The last kōkakō were removed in the early 1990s and transferred to Hauturu/Little Barrier. The Department of Conservation is supporting the project through the DOC Community Fund. A feasibility study confirmed that the concept was achievable. Planning work is currently underway to establish monitoring lines in the block and to assess the methodology for pest eradication. 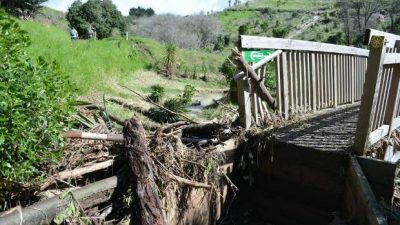 Storm-damaged Motutapu Island’s restoration project has received fresh funding from global fruit provider Dole. 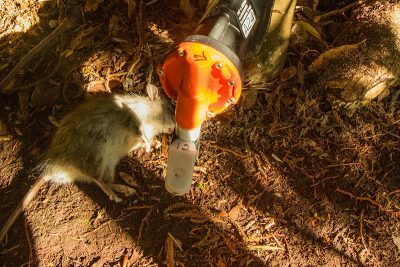 Motutapu Restoration Trust General Manager Liz Brooks said the funding would enable the trust to further develop habitats to achieve its long-term goal of creating sustainable populations of takahē, Coromandel brown kiwi, tieke/saddlebacks and other threatened species. Motutapu has been closed to the public since roads, tracks and more than 5000 trees were damaged by Cyclone Debbie. Volunteers have continued the planting programme with the island due to re-open to the public on Labour Weekend. Conservation Minister Maggie Barry says Maungauika/North Head on Devonport Peninsula is to become predator free, a first step towards a predator free Auckland. A historic Auckland racing yacht is being restored after years of rotting in the Hauraki Gulf. The 113-year-old Ariki, known for being the fastest yacht in Auckland from 1904 to 1938, was spotted at Bayswater Marina and purchased by Waiheke residents Charlotte Lockhart in 2016. Ariki is being restored by Waiheke boat builder Robin Kenyon with the aim of having her back on the water by early 2018. Ariki will be moored at the Maritime Museum in Auckland so the public can visit and she will be made available for Waiheke school students to sail. There are 5.25 trillion pieces of plastic garbage floating around in our oceans, and the number is growing exponentially. By 2050, there will be more plastic in the ocean than fish — if we let this trend continue. 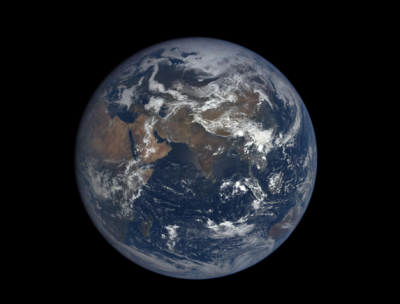 The oceans have experienced a 25% increase in acidity since we started measuring such things. This puts many kinds of ocean life at risk. Oxygen levels in the entire ocean are down 2% overall, and have declined up to 4% in some places — leading to numerous “dead zones”. The “Living Blue Planet Index”, WWF’s measure of how much life is in the sea, is down 50% since the 1970s. 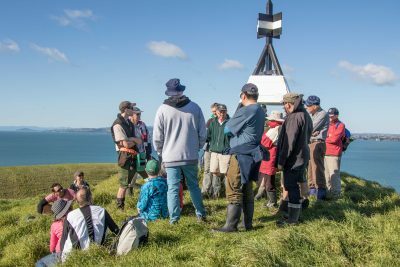 The Rangitoto Island Historic Conservation Trust held its AGM this month. The trust was formed in 1997 to conserve and interpret the historic bach communities on Rangitoto Island for the benefit of all New Zealanders. 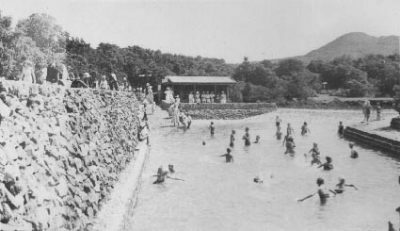 The bach communities were built in the 1920s and 30s, consisting of private holiday dwellings and boatsheds as well as communal facilities such as paths, swimming pool, community hall and tennis courts. Built by families, using the scarce resources of the Depression era, the buildings demonstrate the ‘kiwi’ do-it-yourself, jack-of-all-trades attitudes of the times. The trust has restored Bach 38 as a museum near Rangitoto Wharf, which is open by appointment. 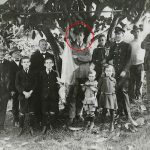 A short video on the history of the baches and their restoration is available at on Youtube The trust’s annual newsletter Rangitoto Rambling here. 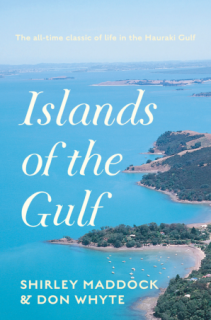 A classic 1960s book Islands of the Gulf has been reprinted. In the early Sixties Shirley Maddock joined seaplane pilot Captain Fred Ladd to visit isolated island communities, filming New Zealand’s first locally produced documentary series and spawning a book of the same name. The new 2017 edition has been published to coincide with a remake of Islands of the Gulf, to screen on TV One later this year with Shirley Maddock’s daughter, actress and writer, Elisabeth Easther. 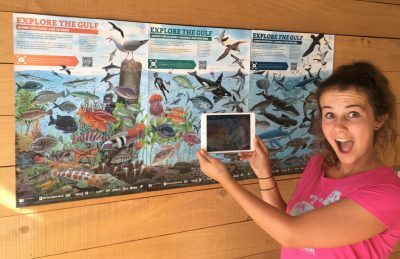 Earlier this year the Hauraki Gulf Forum and Young Ocean Explorers worked together on the Explore the Gulf Hauraki Gulf Marine Park poster series published by the New Zealand Herald. Steve says the app created to unlocked hidden video content with the posters has been installed nearly 2000 times. 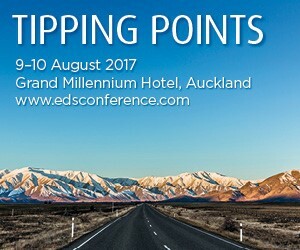 The posters were distributed to all schools in New Zealand through the Education Gazette and are incorporated into school visits by Steve and Riley Hathaway. Steve says the posters, app and interactive website work together to deliver engaging, curriculum relevant learning for schools. 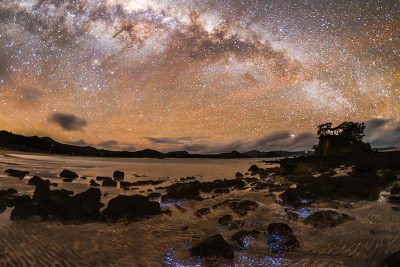 Great Barrier Island has become the first island in the world to be designated a sanctuary by the International Dark-Sky Association. 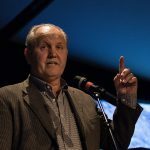 Mayor Phil Goff, Auckland Central MP Nikki Kaye, dignitaries and around 250 local residents celebrated the official launch of the island’s dark sky sanctuary status last month. 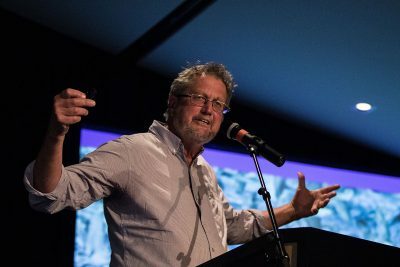 International Dark-Sky Association programme manager John Barentine said the island was a near perfect setting for a world-class sanctuary, including a community largely living off the grid finding meaning in a slower pace of life. 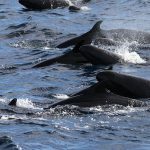 Great Barrier Local Board Chair Izzy Fordham said the island was just the third place in the world to be afforded sanctuary status and an important step for conservation in the Gulf. There are 20 Dark Sky ambassadors on the island ready to share starry nights with tourists. A book has been launched to celebrate the sanctuary status. Ports of Auckland will not reclaim more land in the Waitemata Harbour. 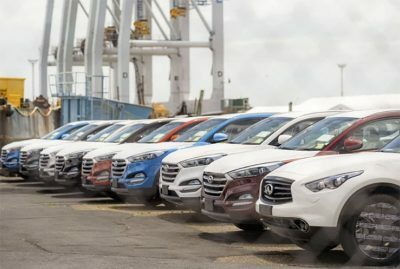 Port chairwoman Liz Coutts said the port company had listened to the Auckland community about the desire to protect the harbour and the future people want to see for the city centre waterfront. She said the city had changed around the port and community attitudes have changed. “To survive as a port and to be a successful business, we have to operate sustainably,” Coutts wrote in the company’s recently released annual report. 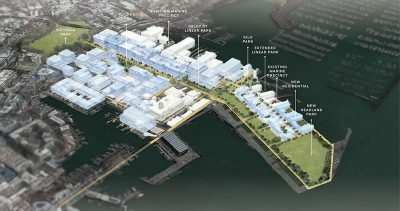 Auckland Council has agreed a plan to enhance and open up Auckland’s city centre and waterfront to the public. It includes a new ferry terminal and new public space along the water’s edge and integrates public transport to accommodate Auckland’s growth. The plan includes the transition of Captain Cook Wharf to include a cruise facility to cater for increasing number of larger vessels arriving into Auckland. The Auckland Council family needs to take a more comprehensive approach to improving Auckland’s water quality says Mayor Phil Goff. “Our vision is for a clean, green city which properly addresses the disposal of wastewater, improves the health of our streams and harbours and reduces waste streams such as plastic bags. “While wastewater overflows into our harbours go back more than a century, the current state of Auckland’s water is no longer acceptable in 21st century Auckland. A new strategic approach, being led by Environment and Community Committee Chair Penny Hulse, will look at drinking water, wastewater, estuarine and marine environments, stormwater, natural waterbodies and groundwater and aquifers; and the policy, infrastructure and investment, regulatory requirements, community involvement and research required to manage this. 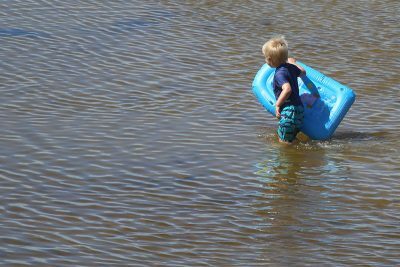 Auckland Council has approved an upgrade of its Safeswim beach water quality monitoring programme. From next summer it will enable accurate forecasting of which of Auckland’s 69 bathing beaches might be unsafe, and when. Auckland Council has received an update on the integration of the Sea Change – Tai Timu Tai Pari Marine Spatial Plan into the Auckland Council group work programme and established a political steering group to oversee it. The plan, produced through a three-year collaborative process, is a non-statutory document which aims to ensure the Hauraki Gulf is vibrant with life, its mauri strong, productive and supports healthy and prosperous communities. Weaving together traditional and aquaculture industry techniques will provide the best of both worlds for rope that will be seeded with mussels to be hung from the pylons of Ōkahu Bay wharf. This taura (rope) is intended to seed larger amounts of mussels into the bay over time by avoiding the sea floor which is covered in sediment. 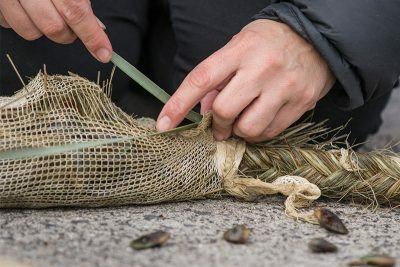 The mussel taura (rope) has been woven by Ngāti Whātua Ōrākei weavers who have harvested the harakeke (flax) from their ancestral whenua (land). 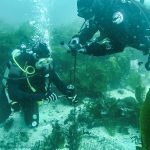 With a vision to return the mauri (essence of life) back to the marine environment a 3-year mussel reef restoration programme in Ōkahu Bay has attempted to bring back historical mussel beds. Ngāti Whātua Ōrākei have committed themselves to returning the whenua (land) and moana (water) back to healthy state for 15 years through their planting of 220,000 trees on the whenua (land). “Protection of our waters and providing a future for our whanau is paramount for us, our daily connection with the moana recognises our ancestors and their kaitiakitanga” (guardianship)” says Ngāti Whātua Ōrākei descendant, Donna Tamaariki.